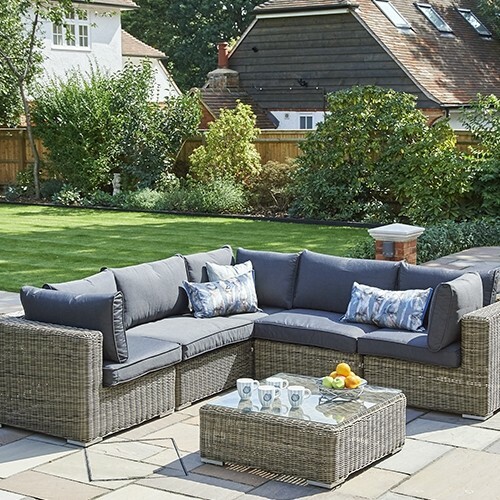 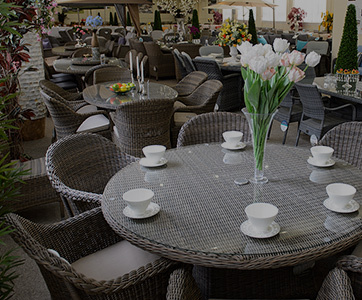 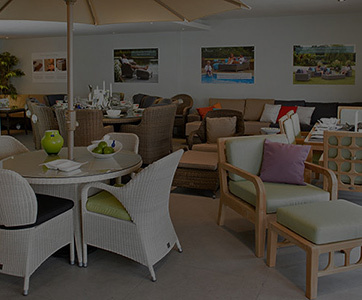 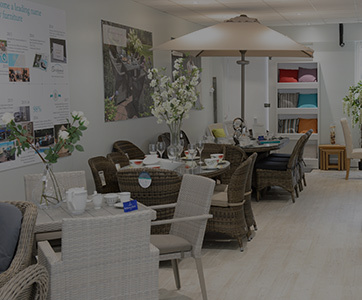 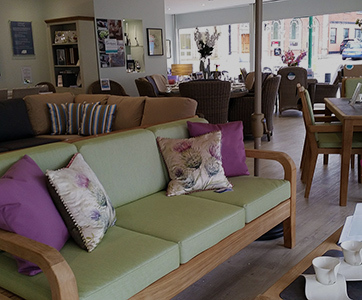 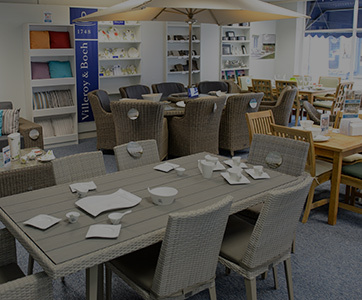 Discover the exceptional qualities of the Mayfair garden furniture collection, all within easy reach at such excellent value. 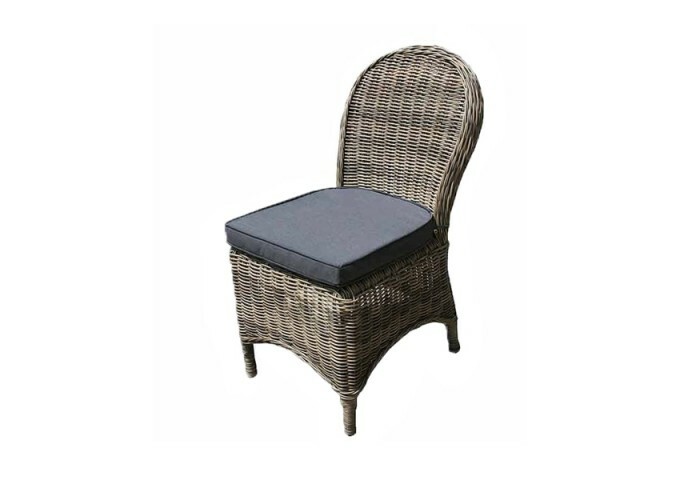 This elegant Mayfair dining chair complete with a comfy grey cushion brings a shapely appeal with its curving backrest and 5mm full round weave. 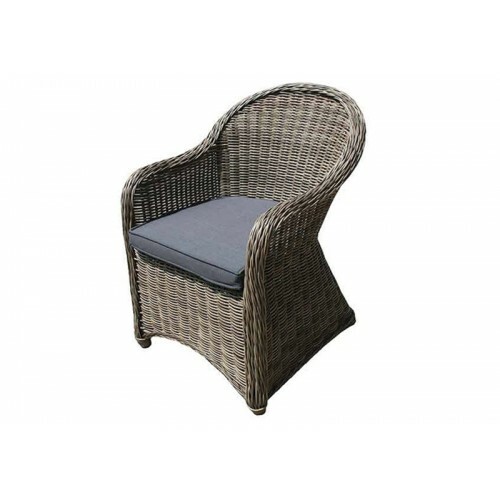 This distinctive silhouette will sit stylishly on a patio or on a deck or alternatively inside a conservatory or summerhouse. 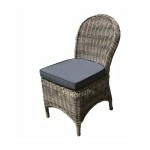 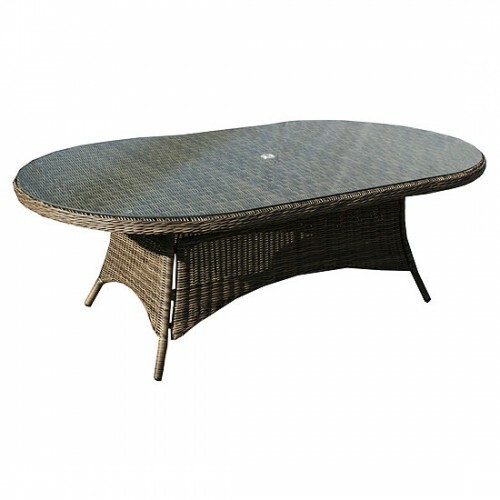 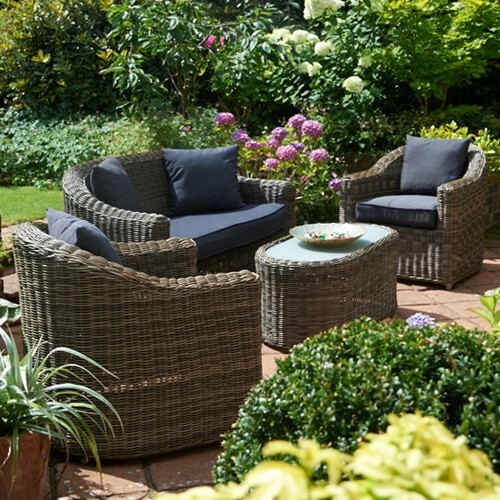 This range is designed to blend beautifully with nature, featuring an olive toned, synthetic rattan construction. 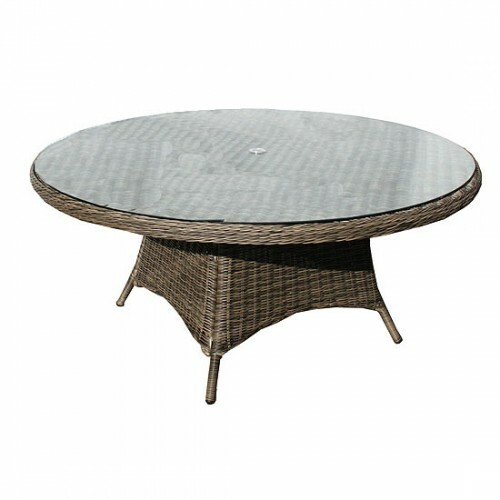 The weave is supported by an aluminium frame making this dining chair fully weather resistant so it can remain outside through the seasons. 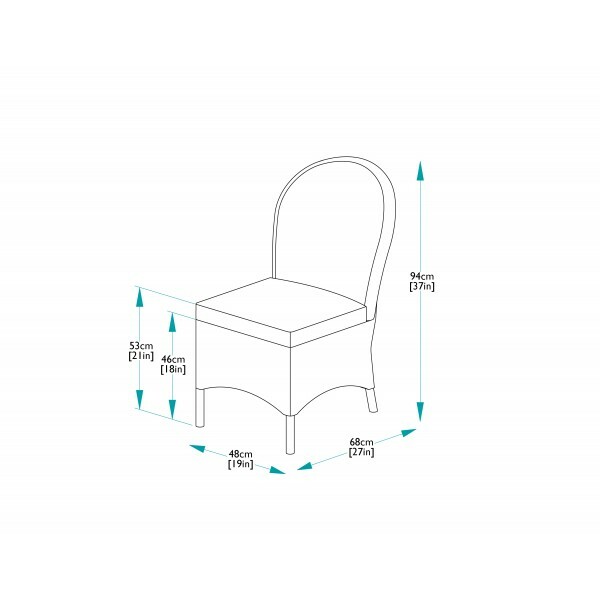 You can choose this chair as a stand alone occasional chair or combine it with the Mayfair dining table and further chairs to form a full set.
" 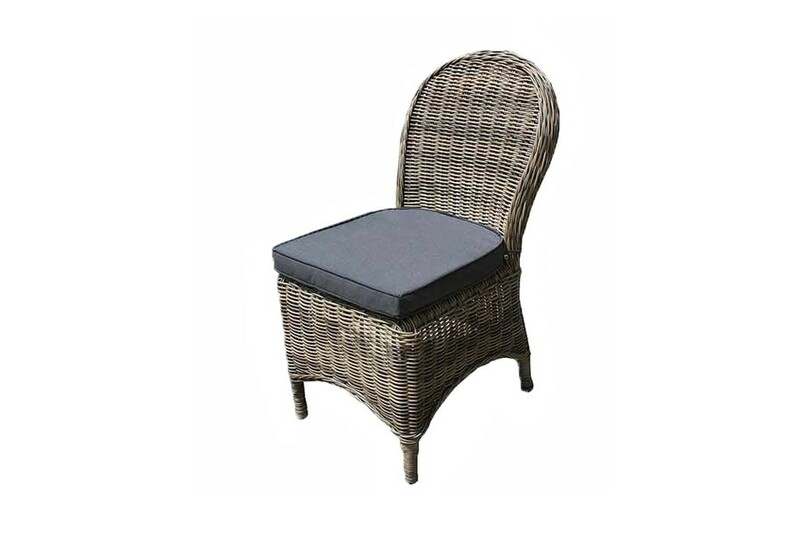 Excellent product - strong - great finish no rough edges good to look at -comfortable seats -table not too big but enough for four"